Stamp with Vanessa: Need Packaging Ideas - Stampin' Wheels to the Rescue! Need Packaging Ideas - Stampin' Wheels to the Rescue! Hi friends! As I head off to Convention! I'm so excited. 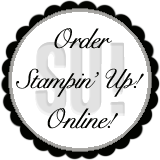 I thought I share with you this great video on using our Stampin' Wheels! Enjoy!